Hotel Chocolat is a chain of stores one should not enter unless one has a very strong will. You see, the problem with entering Hotel Chocolat is that the temptation to buy all the chocolate is overwhelming. From artisan chocolate bars to truffles that will make your mouth water, Hotel Chocolat truly is a chocolate lover’s dream. If you want to buy something from Hotel Chocolat, but fear entering the stores due to an intense desire to eat every praline in sight, Pinga has the perfect solution for you: put out a request for someone else to do your shopping. This is also particularly useful when you realise an hour before a birthday party that you have forgotten to buy a gift. You don’t have time to run down to Hotel Chocolat for the perfect gift, but you can ask a Pinga partner to do it for you. 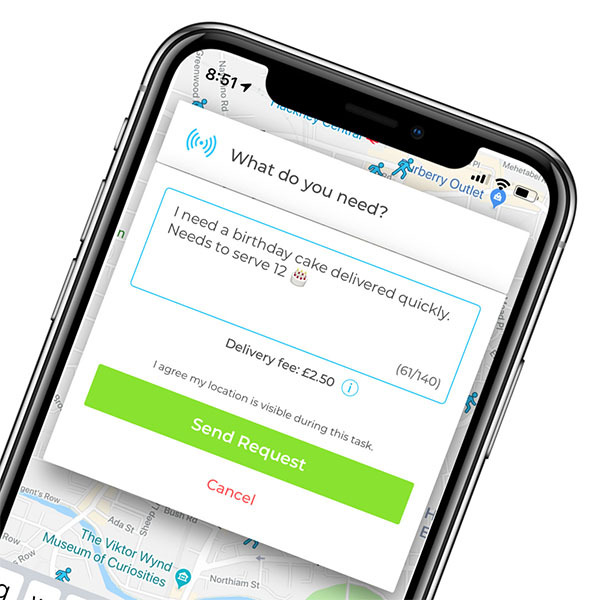 Whenever you put out a request for something, be it a bar of decadent chocolate from Hotel Chocolat, or help with jumpstarting your car, Pinga will connect you to a number of nearby Pinga partners. These trusted partners will be happy to assist you with whatever you need. Consider Pinga the Uber of services — it’s an app that uses crowdsourcing from trusted partners to bring you what you need. If you want some truffles from Hotel Chocolat, you simply put out a request and one of the Pinga partners will ping you right back. Pinga — what you want, when you want it. Pinga delivers any items from Hotel Chocolat today. Infact our service normally delivers within an hour, so if you’re looking for same day delivers from Hotel Chocolat, send your request via the Pinga App. Describe what items you needs to be delivered from Hotel Chocolat and send your request. Pay securely within the app and receive your Hotel Chocolat items to your door! Needed a couple of bottles of Sauvignon blanc as I have guests round and we’re on our last bottle. Need a beer run for the office party, could someone pick up 20-30 cold cans? Pale ale please, in need of 4 x cans please. With your Pinga app, you can order anything from anywhere. There is no minimum order amount and deliver costs just £2.50. Pinga can deliever anything. That’s right, anything! Unlike other delivery options or gig economy businesses, we use vetted people in your local area who are available to help you with your task. So, download the app today and get your first delivery for free.